Great White® is the most complete mycorrhizal product on the market. The cutting edge formula contains 15 different species of mycorrhizal fungi, 11 different species of beneficial bacteria and 2 species of trichoderma all in one product. Research shows that this powerful formula will ignite plant and root growth giving plants the tools they need to maximize yields. 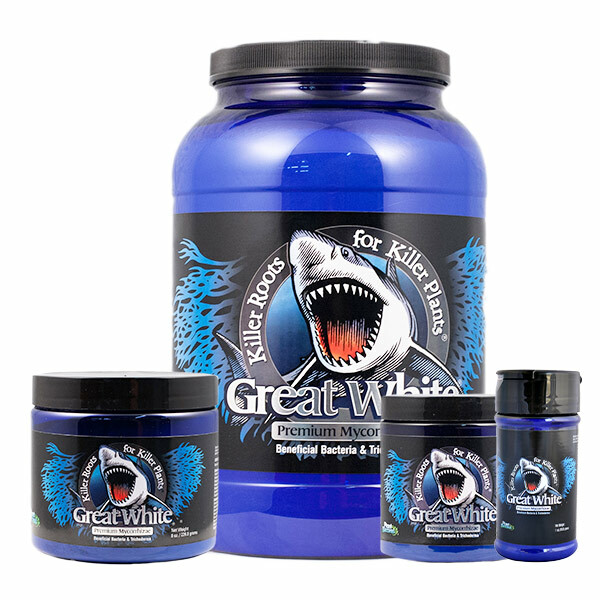 Great White’s concentrated formula ensures optimum colonization of root systems by the fungi for less money. 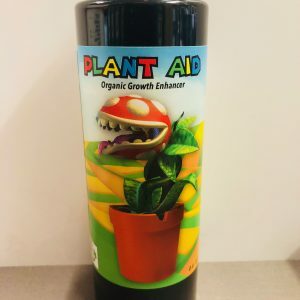 Users should look for explosive root growth, increased yields, increased fruiting and flowering, increased nutrient and water absorption and improved transplant success. The key to healthy and vital plants starts with a vigorous root system and a vigorous root system starts with Great White!